Excellent follow-up volume. We met everyone in vol.1 and now in vol. 2 everything starts happening. What they've been waiting for is finally arriving. Bad things are happening and we know who it is. Two members of the family do dreadful things that shock us They feel vindicated but if the others find out it will be even worse. 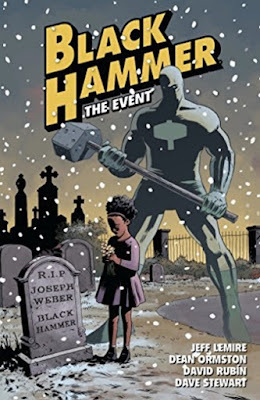 A new Black Hammer discovers their new identity. And the book ends on a significant note, making us excited for the next volume. Will keep reading this series!